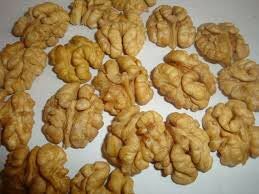 We are a Thailand-based Exporter and Supplier of Walnut Kernels. Procured from the leading producers, our Walnut Kernels are acclaimed for their delectable taste and unique flavor. Walnut Kernels are very beneficial for healthy brain functioning. They are rich in Omega-3 oil which helps in burning cholesterol. We pack Walnut Kernels under controlled and hygienic conditions to keep them free from contamination. Further, Walnut Kernels are made available in different size packaging at the best market prices.